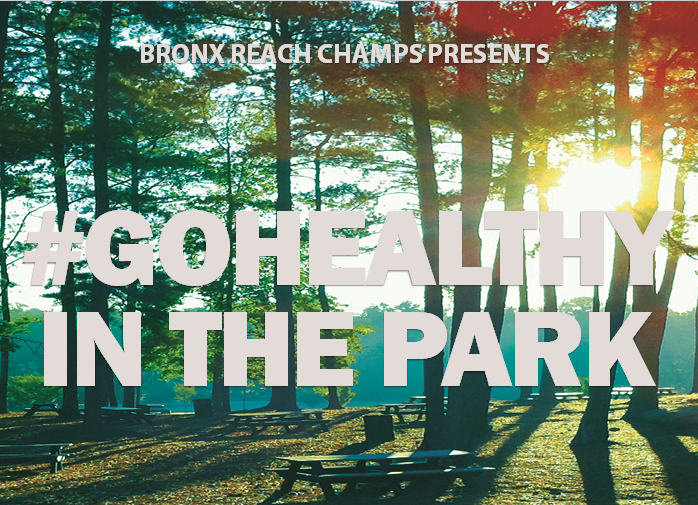 The Bronx Community Health Network-led Bronx REACH CHAMPS initiative is proud to announce the development and release of guides for seven Bronx parks and open spaces have been developed. The seven guides, prepared by New Yorkers for Parks, include information on the following: Poe Park, St. James Park, Devoe Park, Aqueduct Walk, Soundview Park, Seton Falls Park and Shoelace Park. Over the summer, the Bronx REACH CHAMPS Coalition sponsored community-based public events at these seven locations to raise awareness, increase park access, and enhance current parks programming for community residents. In 2014, Bronx Community Health Network (BCHN) applied for and received a three-year Racial and Ethnic Approaches to Community Health (REACH) grant from the Centers for Disease Control and Prevention. The Bronx REACH CHAMPS program was then created with a goal to reduce obesity and improve the overall health and wellness of the Bronx’s culturally and ethnically diverse population. BCHN formed a coalition to tackle the root causes of the problem with partners Acacia Network/Promesa; Albert Einstein College of Medicine; Montefiore Office of Community and Population Health; Montefiore School of Health Program; NYC Health + Hospitals, Gotham Health-Segundo Ruiz Belvis and The Bronx Health Link. The team has implemented a number of nutrition and physical activity interventions that have shown great promise in changing policies, systems and environments that support access to affordable fresh fruits and vegetables and options for active living. Find out more at bronxreachchamps.org.